Think of Mexican and Mexican Tacos are the first dish that come to mind. Making tacos involves a laborious process, which pushes many to go for the readymade options. Crisp maize flour tortillas loaded with a tangy rajma topping, green tomato sauce, and of course, oodles of cheese, these tacos are a sumptuous snack your kids will love. Spinach and cottage cheese make a good filling for crepes which are topped with Mexican green sauce. 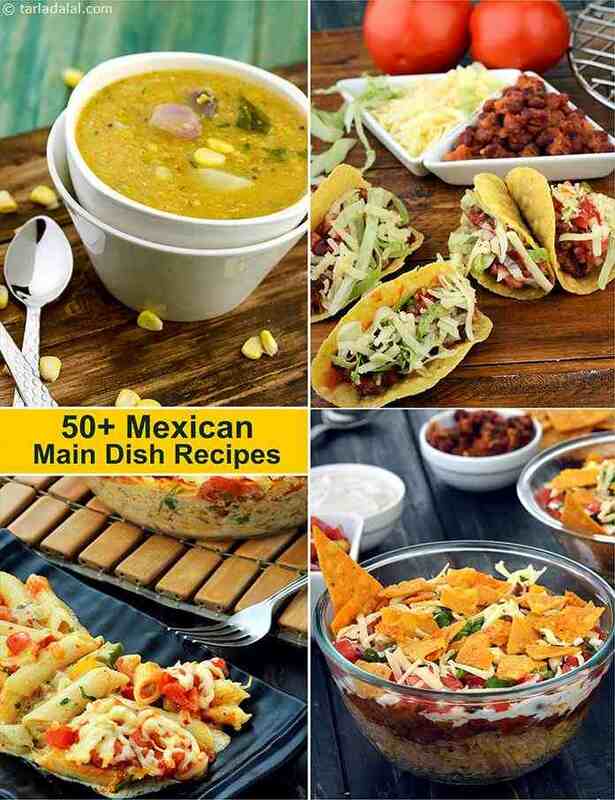 An all-time favourite from the repertoire of Mexican recipes just made its way into the world of Jain cooking.